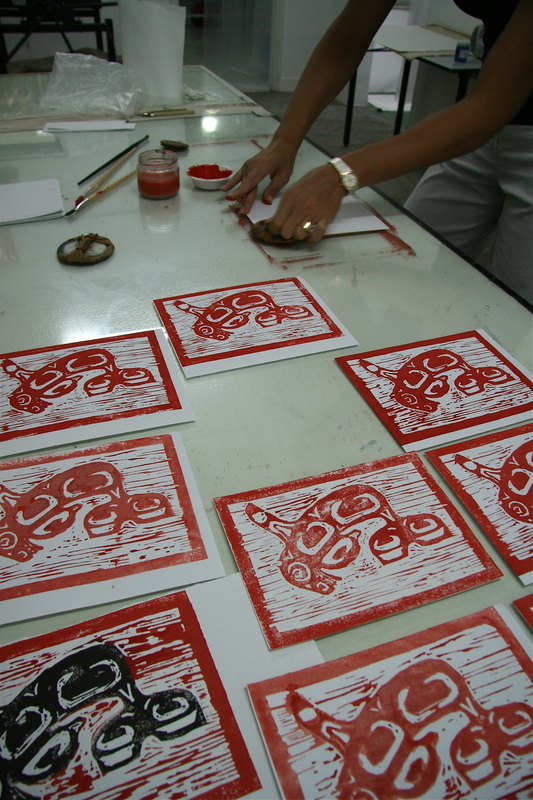 Printmaking courses and workshops will emphasize developing technical skills in etching, relief or monoprinting in combination with creative image making . Courses and Workshops are at the studio of Marisa Keller and are suitable for beginners as well as advanced printmakers. Instructor is artist and printmaker Marisa Keller. All courses and workshops are designed for adults. The studio doesn't organize classes for children. The groups are kept small between 3 to 6 students . Minimum 3 participants. Missed class can made up on other course days/times or during open studio times. The studio organizes specialized workshops and courses for (art) teachers, instructors and others who like to come in a group. The studio can accommodate maximum 7 people. The workshops can also be organized at own (suitable) venue. Please contact Marisa for more info. Please indicate if you want to transfer the course fee by E-banking in your email. I will email you my account details. Your enrollment is only confirmed when payment is received by Marisa Keller. Payment is by cheque (payable to: Marisa Keller) or by cash. Restitution of course fee will only be done up to 2 weeks before the start of the course or workshops.